On December, 14, a Texas judge struck down the Affordable Care Act, or Obamacare, ruling the entire law was unconstitutional based on the mandate that individuals either buy health insurance or face a tax penalty. 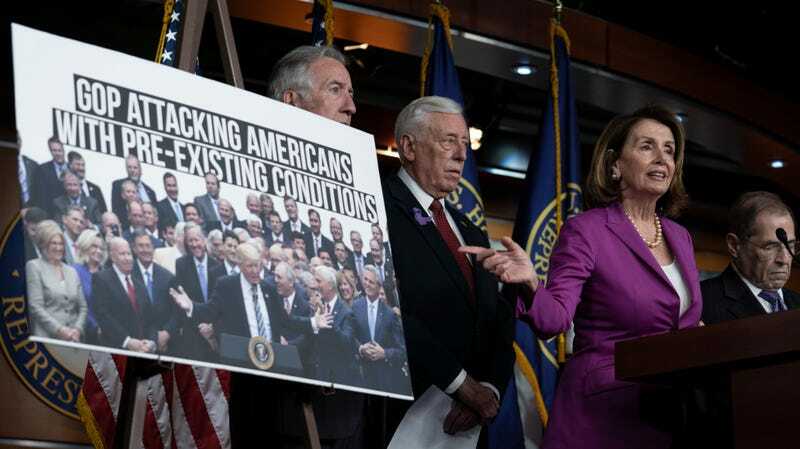 Just one day before the open enrollment period for coverage ended, Judge Reed O’Connor claimed the law’s stipulation that individuals maintain coverage or pay a fine could “no longer be sustained as an exercise of Congress’s tax power,” according to The New York Times. This isn’t the first time the law has been debated in the courts. In 2012, the Supreme Court upheld the ACA, ruling that Congress is allowed to legally tax Americans in order to compel them to buy health insurance. However, since the Trump administration has reduced the penalty to zero dollars, 20 states argued that the fine is no longer constitutional, and Justice O’Connor agreed. The law also protects people with pre-existing conditions, who may see their premiums skyrocket or be denied coverage altogether, and insurance companies could also regain the option to reinstate lifetime caps on coverage. The provision allowing for adults under the age of 26 to stay on their parents’ plans would disappear as well, leaving many young people struggling to find affordable health care. According to The New York Times, over half of all Americans are in favor of the ACA, though new enrollment by people who use the the federal website Healthcare.gov is down 20% from last year. This year, 4.1 million Americans have already signed up for 2019 plans.